Looks like the The Dirt 2012 was a success when it comes to the gas powered 2 stroke 1/5 large scales. 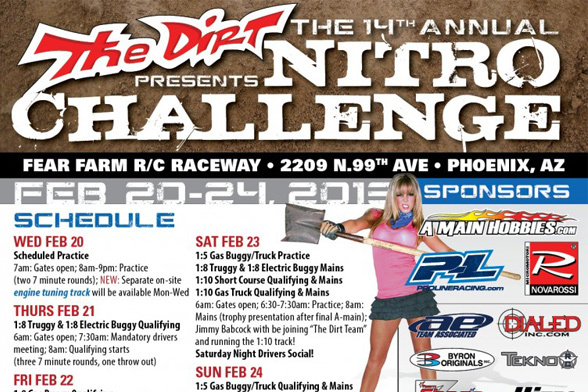 So they are back, the Nitro Challenge is allowing large scale back. 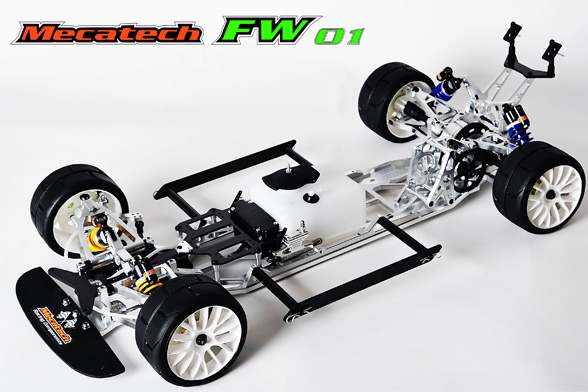 Get your HPI Baja, Losi 5IVE-T, MCD or whatever 1/5 scale you prefer to race. Looks like our friends at TeamChase have stepped us as the only Large Scale company to sponsor the event. Way to go TeamChase! We are told they will be updating LSN live from the event just like they did last year HERE. 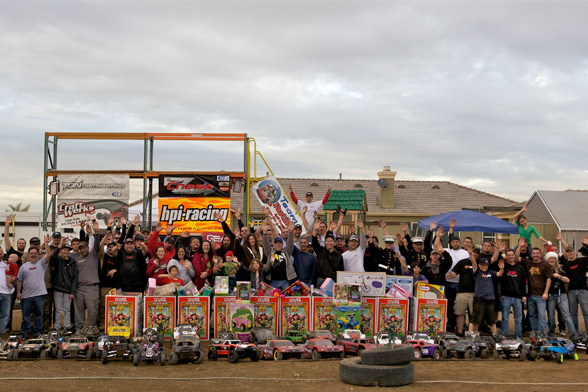 LSN looks at 6 years of Large Scale Event Coverage and Product Reviews – This is a quick look at only 400 images taken out of thousands upon thousands from past events including some of the first HPI Baja 5b gatherings. You will see a glimpse of some great history of the HPI BAJA as well as a look at the first outing of the new 1/5 Scale Losi 5IVE-T at the Hostile Fest (also known at the Hostile Bajafest). And don’t forget the Dunetoberfest! You can see dozens of 1/5 scale radio control event posts at LargeScaleNews.com or just go and browse ten’s of thousands of images at TGNdistributing.smugmug.com. Please follow us on Facebook for all our updates. We do not follow much of the on-road large scale scene but we really do enjoy looking at these machines. Mecatech passed on this news to us so we thought we would share it. For some reason their site is not updated but their facebook is and has lots of pretty pictures of a lot of detail of their billet monster. Mecatech please send us one of these, I want to run one! RobotKitchen has taken out their new TGN Sponsored Shotgun SS 427 Class 1 HPI Baja 5SC. The truck is equipped with a TeamChase roll cage and the Barndog Racing panels. Along with the RC4WD Mickey Thompson 1/5 Scale MTZ tires. You can tell these tires provided great traction We are told more upgrades and videos are coming soon including some upgrades from Craftwerks-RC. Great work on this video RobotKitchen! Looks like RobotKitchen is going back to his roots in stop motion. 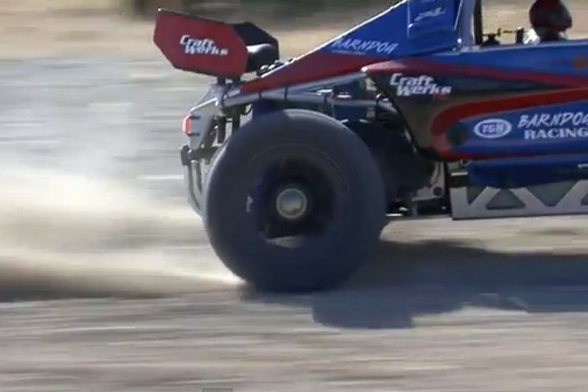 Take a look at this preview of the TGN Ford Shotgun SS 427 Class 1 HPI Baja. This thing looks incredible!